Eric Boles is President of “The GAMECHANGERS Inc,” a training and consulting company whose Leadership, Team and Personal development processes are used by some of the most recognized and successful companies in the world and have helped shape over a half a million successful leaders, managers and employees. 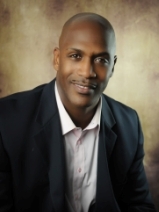 Eric Boles is a highly acclaimed keynote speaker, consultant and executive coach. Eric addresses thousands of men and women each year – on the subjects of leadership, team dynamics and peak performance. His clients include Starbucks Coffee Company, Boeing, Microsoft, Alaska Airlines, AFLAC, Dunkin Brands, U.S. Air Force and the U.S. Army Rangers to name a few. Prior to becoming an authority on teamwork, leadership and personal development, Eric learned many principles of team dynamics, leadership and peak performance from his experiences in the National Football League (NFL) with the New York Jets and Green Bay Packers. Eric has presented throughout North America and Europe with audiences ranging from 5 to 20,000 people. From the boardrooms of some of our nation’s most prestigious Fortune 500 companies, to our Federal and State Governments, Academic Institutions, Professional Sports Franchises and Amateur Athletic Associations, Eric has earned the reputation as a dynamic presenter, facilitator, executive coach and friend. Eric is married to his lovely wife Cindy and has 2 beautiful daughters, Taylor and Madison. Perhaps the greatest challenge that you will ever face in life is the conquest of fear and the development of the habit of courage. Fear has always been the greatest enemy of mankind. When Franklin D. Roosevelt said, "The only thing we have to fear is fear itself," he was saying that the emotion of fear, rather than the reality of what we fear, is the cause of associated anxiety, stress and unhappiness. "Fearless Leadership" is based on this premise. Just think: What would you dare to dream, be or do if you were able to overcome your fears? Fortunately, the habit of courage can be learned! The goal of every team is to win; no matter the venue or arena of competition, sports or business, the objective is to come out on top. What if there was a better approach that does not involve winning or losing, winning was simply the by-product? The pursuit of excellence is not about winning - it is "More than Winning." It is giving your very best in pursuit of a goal or worthwhile endeavor bigger than yourself. It is bigger than any one individual and demands your very best. "More than Winning" focuses on releasing a team's potential. This is the result of effectively leveraging the individual strengths for the benefit of the team and the goal. We'll show you the keys to unlock the potential. "Moving to Great" will deepen your understanding of the fundamentals of personal mastery and change enablement. Participants learn time-proven techniques and skills for enhancing personal accountability and helping themselves and others overcome the natural, human resistance to change. "Moving to Great" provides a scientifically sound set of tools that will enable individuals to increase their self-efficacy (the ability to cause and make happen), improve their self-esteem and enhance their ability to set and accomplish bigger and better goals. A result of experiencing "Moving to Great" is a renewed sense of commitment and a greater willingness to seek out and implement new approaches to tackling both personal and organizational challenges. Leading has never been easy, but it has never been more challenging than it is today in this "New Normal" or "New Reality." The customer has never been more demanding, the competition never more stiff, the employees increasingly less engaged. All the while, industry changes and technology advances continue coming at a faster pace. Plus, despite all these demands, many leaders are being asked to accomplish more with less. Key Points of this Presentation: *Fear works best in isolation *Leaders becoming "Dealers of Hope" *Changing the Momentum *The need to be more than your job description *Are you leading to win or not to lose? *Staying hungry and humble *Overcoming fear and leading more courageously *Seeing the potential through all the hazards and noise around you *Being fearful and doing it anyway *Having difficult conversations…making tough decisions...taking action *No longer allowing good intentions to be a substitute for actual accomplishment *Inspiring your people and leading the change *Being at your "best" more of the time Eric Boles will weave powerful stories and depth around each of these strategies that will touch the heads and hearts of your people. He will work with you to customize his presentation around your meeting theme, key business issues and goals so you get the results you want and need. Plus, they will receive relevant information that they can put to work immediately both personally and professionally.